Dining at the V&A Waterfront with the best view of the harbour, yachts and Table Mountain is the epitome of the Cape Town lifestyle. 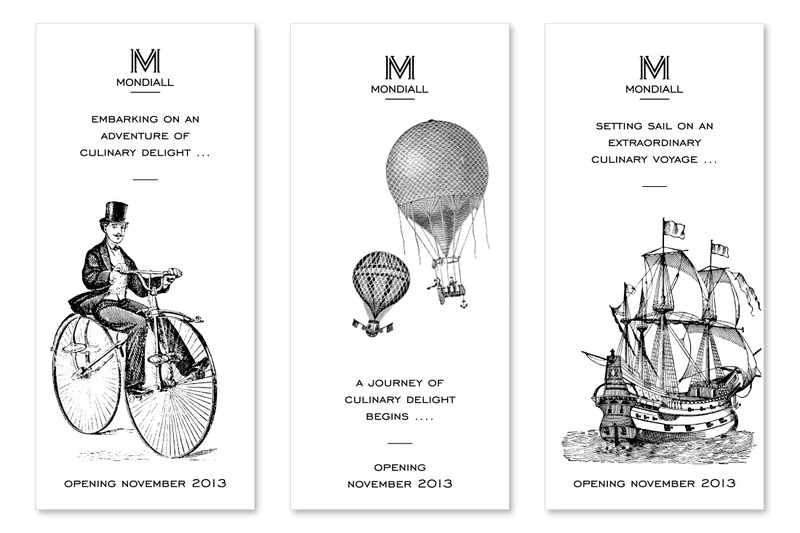 Needles to say this location makes for a dream restaurant branding project for any designer! 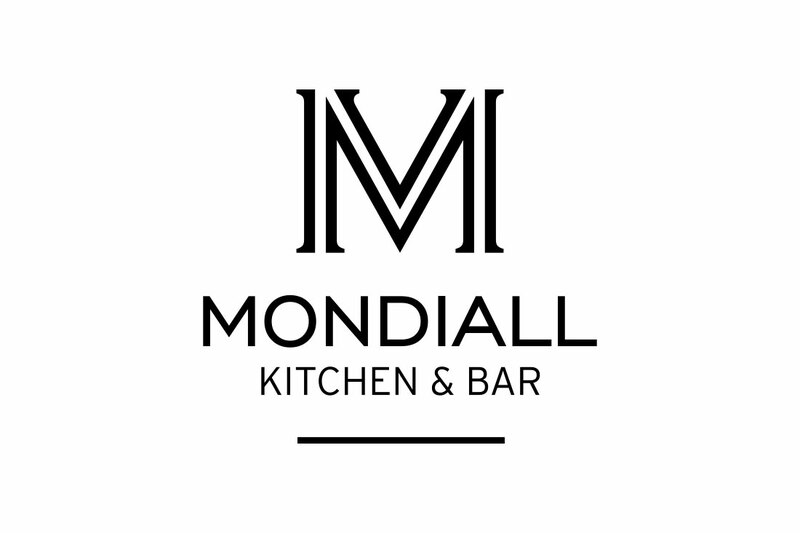 Inspired by the classic European brasseries of centuries past and the charm and revelry of a bygone era, Mondiall Kitchen & Bar brings this concept to life with a modern twist. 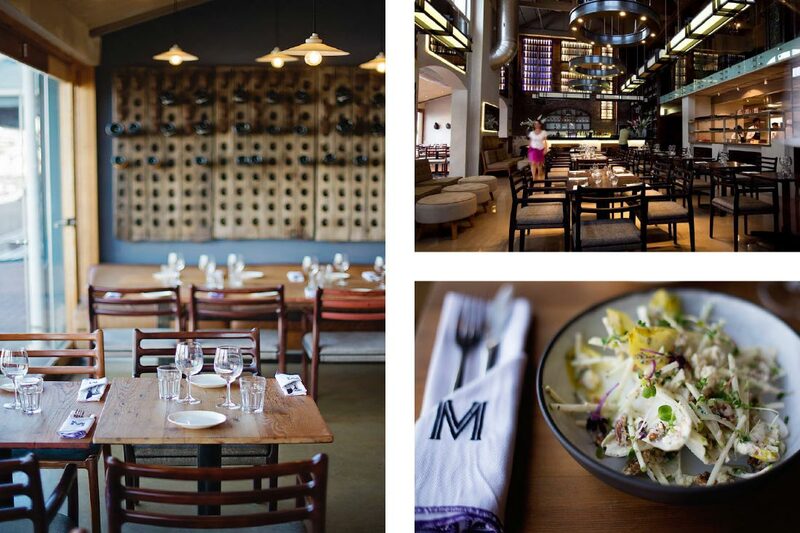 The stylish interiors are sophisticated and elegant, yet inviting and unpretentious while the food takes guests on a culinary tour through classic dishes that have been reinvented. To communicate this concept, effortless style was key. 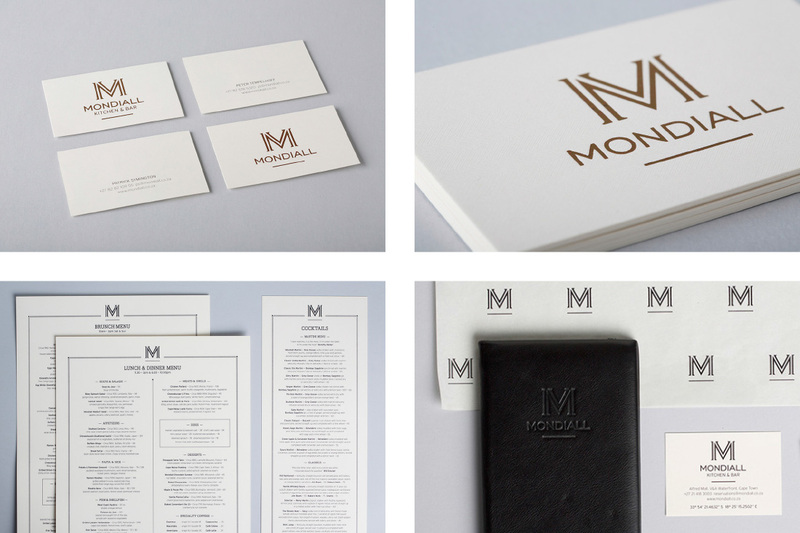 By juxtaposing a classic serif typeface with a modern sans-serif one, we developed a clean and contemporary identity that subtly hinted at an elegant past. 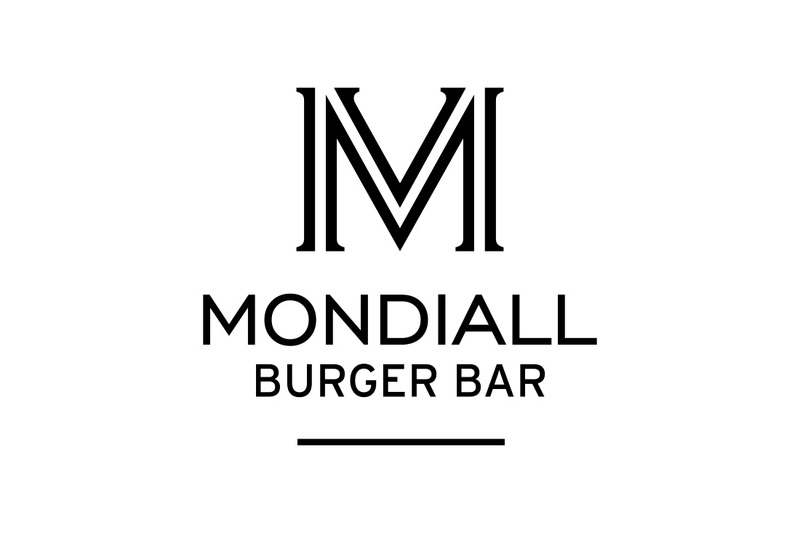 Following the Mondiall Kitchen & Bar, we created the identity for the Mondiall Burger Bar hatch, just around the corner from the restaurant.